**UPDATE: The bust support and farsetto lectures are cancelled; in their stead there will be a grande assiette sleeve workshop. Please see the more recent blog post for details. 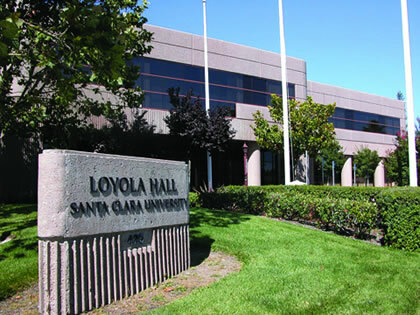 Plans have firmed up for a day of lectures by Yours Truly to be held on the campus of Santa Clara University in Santa Clara , California, on Saturday, April 13th, in the afternoon. The theme of the three slide-enhanced lectures is “Redressing What We Know: Extant Garments from the 14th and 15th Centuries in Europe”. To follow developments and find out about registration, please visit this FaceBook page. (You will have to be logged into FaceBook to see it.) On Sunday the 14th, I’ll be conducting a small workshop for fitting a bust-supportive dress — the kind that laces up the front and is worn as a basic foundation fashion layer. This is limited to ten women and I believe it is almost full, so if you are in the area and interested, please contact the page organizers immediately. In Summer 2011, I undertook a detailed examination of the crimson silk pourpoint in the Musée des Beaux-Arts of Chartres, France. This revealed a wealth of information concerning the cut and construction methods used for making padded and quilted garments–especially for martial use–in the later 14th century. This lecture includes a reading of an abridged version of my paper on this topic (forthcoming in Waffen- und Kostümkunde in July 2013), supplemented with photographs of the original garment as well as contemporary figural art sources, and photos of the reproduction process. My reproduction of the garment will be available for viewing and examination, along with time for Q&A. The last few years have been an exciting time in dress history, as information has filtered out about the undergarments found in Lengberg Castle in East-Tyrol, Austria. These garments, dated across most of the 15th century, shed amazing new light on how women arranged their bosoms beneath their clothing. It had long been held that until the corset made its appearance in the 16th century, European women only bound their breasts, built bust support into their outer clothing layers, or went without. This survey of the current research will feature extant fragments, textual sources, and contemporary figural art, as well as photos of experimental archaeology–recently-made undergarments intended to help their wearers understand what women did. Two beautifully preserved doublets, or farsetti, as they are called in Italian, give us a clear view into the sartorial techniques used for dressing the fashionable Quattrocentro male. A detailed analysis of the differences and similarities in the tailoring of these two garments–one from the 1420s and the other from the 1480s–will reveal how faithfully the figural art of the time portrayed them. In addition, by examining the tailoring differences between the two, it becomes possible to map the evolution of the style in the intervening decades. This lecture will feature photographs of both farsetti in pieces, diagrams that map tailoring changes over the middle of the 15th century in the area now known as Italy, and contemporary figural art. Glory be! I’ll be unable to attend lecture and workshop due to calendar conflicts, but will you be doing this again? Say, in Santa Clarita, CA? Oh how I wish I could make it there! Hi Becky, I’m sorry you can’t make it. I probably won’t be coming out to California again too soon, but who knows — maybe some day if there’s a strong interest!